Project time table template is an extremely important thing which you need to maintain and must be in process while the whole project is going on. Complete schedule must be always jotted down and followed out as per the Project Planning. Professionals or project managers are asked to prepare such kind of project timetables which will help them to keep a track on the work and its progress. We have various types of project time table templates from where you can choose the best suitable one! 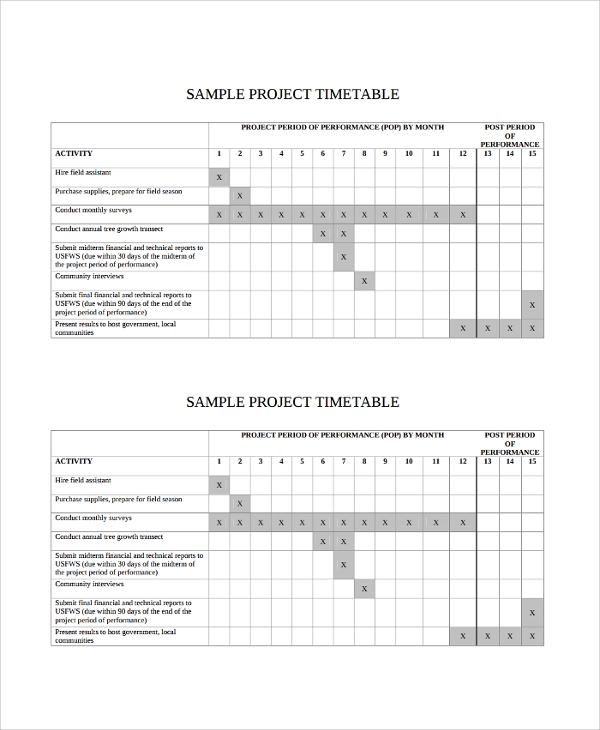 The Sample Project Timetable Template helps to break down a large task into small one. It helps to distribute the task among all in a very easy manner. 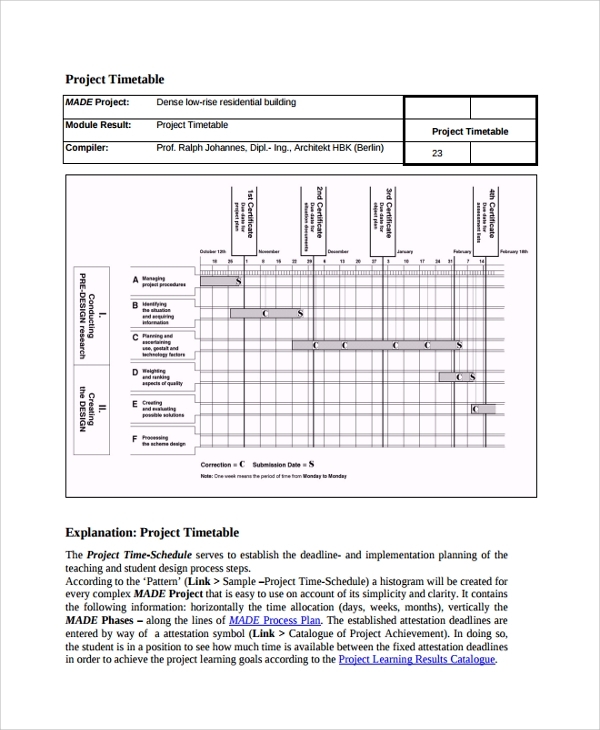 Sample Project Timetable Template help to sort out the large team easily. This template helps to consider the productivity of each employee. The Project Management Timetable Template are designed just to visualize the project plan in a tabular format. It makes the project plan more well organized and visible too. For larger projects this kind of template helps the project manager to design it more properly. 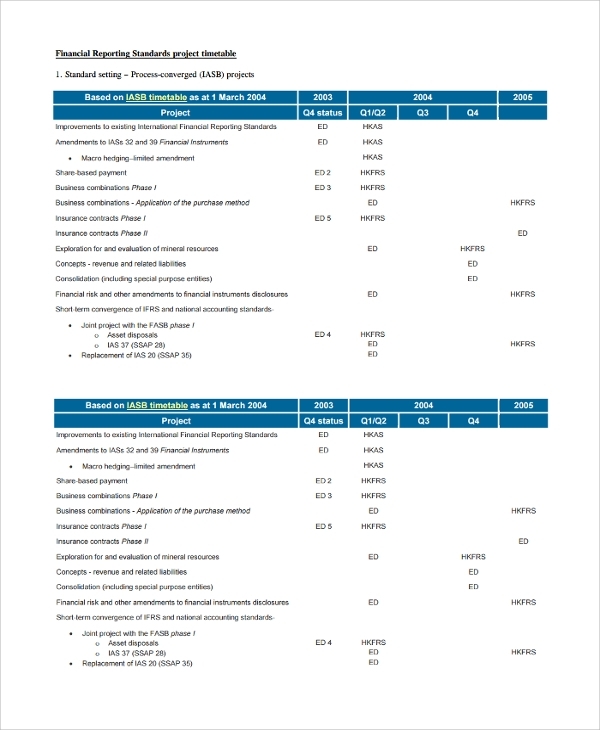 This template defines the complete project plan and differentiates it from work plan. 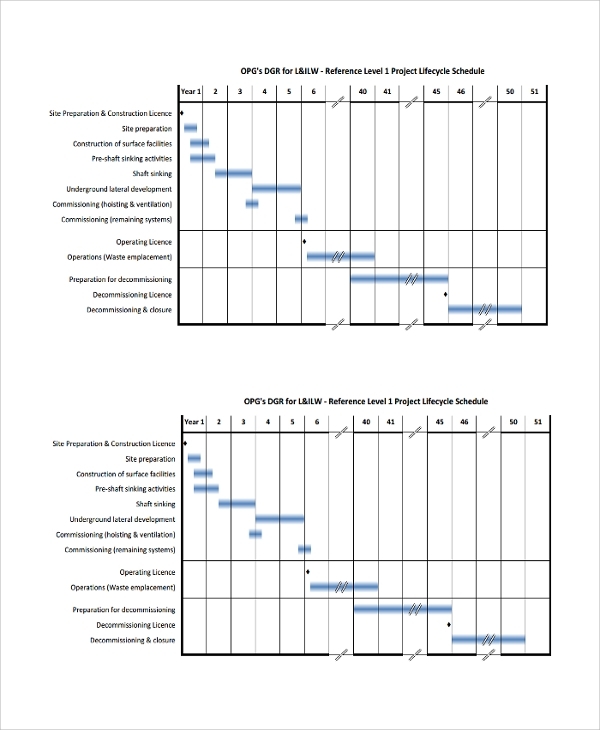 The Project Planning Timetable Template is important for all the organizations. Here the project plan is written in document and UI diagrams. The project plan is based on priority of the work schedule. 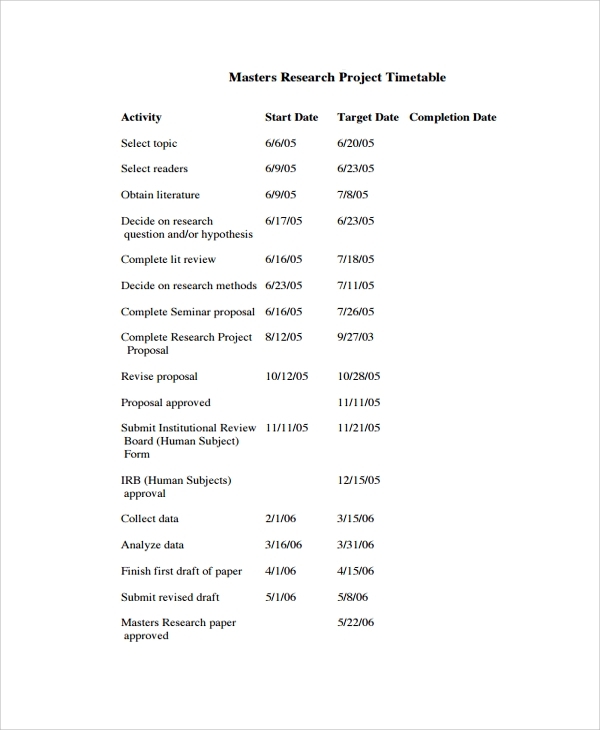 The project plan template has a due date mentioned for each task as that goes as per the timeline. Project timetable template is mainly used to do and execute the daily schedule of the project so that the project may run in a proper way with progress. Every project has a limited timeline. Such kind of project Timetable Templates will help to get the project done in limited or designated timeline. The planning phase of each project is extremely necessary, so timeline templates will help in having a good plan too. 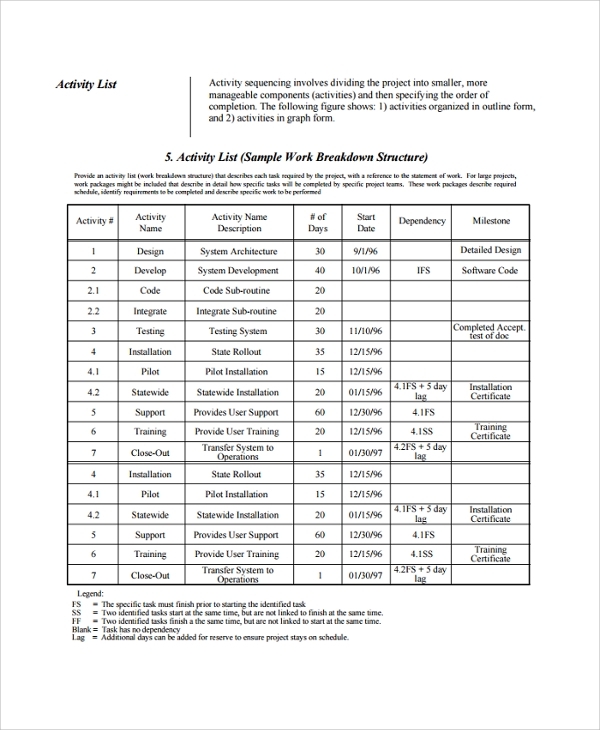 When do I need Project Timetable? How to create or write Project Timeline? To conclude, the project timeline template is mandatory to make any project successful. 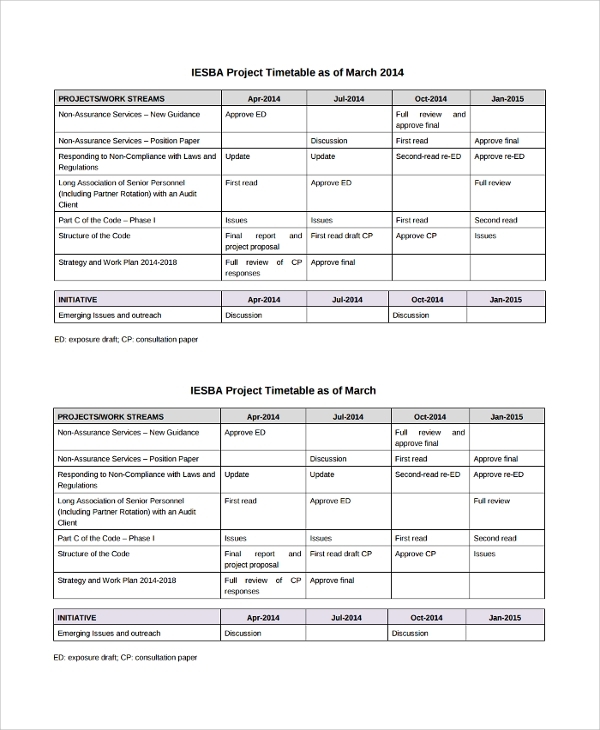 We have ample project timeline templates, you can download any one as per your requirement. Each of the templates is best designed keeping all projects in mind, each template can be organized based on your project duration.